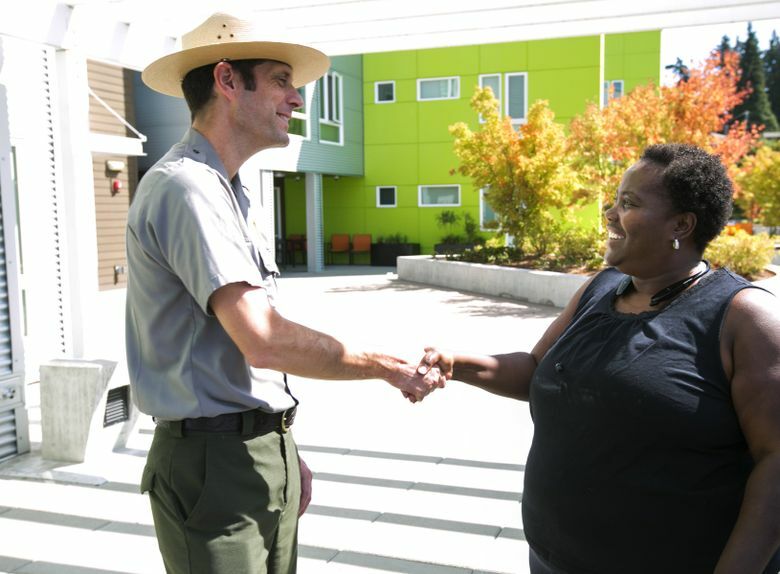 Charles Beall heads up the Seattle area’s urban park units, which are more accessible to communities of color and might help bring diversity to national parks. White, male and “midcareer,” Seattle’s Charles Beall in a lot of ways is the face of the National Park Service that turns 100 on Aug. 25. Beall, 43, fits the bill for change partially because he must. The workforce at his agency is 83 percent white, and the federal hiring system is so Byzantine and tilted toward military veterans, a dramatic change in racial composition will not come soon. 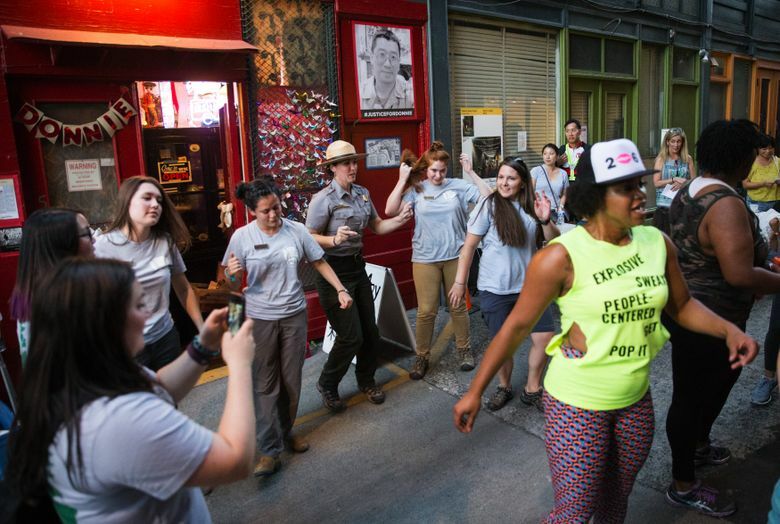 Nonwhites made up 37 percent of the nation’s population, but were only 22 percent of national park visitors, according to the agency’s 2011 survey. Such disparity cemented a common belief that the system lacks relevance to communities of color. In fact, the No. 1 reason nonwhites give in surveys for not visiting national parks is that they don’t know much or anything about them. So the initial push for diversity in the national parks will not likely come from people of color or other outsiders; it must come from the agency’s own overwhelming whiteness. And it will be for self-preservation reasons. The U.S. will be majority nonwhite within three decades, and if that new majority does not have a relationship with the Park Service or the outdoors, its will to support either could be nonexistent. A change agent, Beall is superintendent of Seattle’s National Park units, which include Klondike Gold Rush in Pioneer Square, the national-park-affiliated Wing Luke Museum of the Asian Pacific American Experience up the street in the Chinatown-International District, and the Bainbridge Island Japanese American Exclusion Memorial, which reflects as a cautionary tale the imprisonment of people of Japanese descent during World War II. 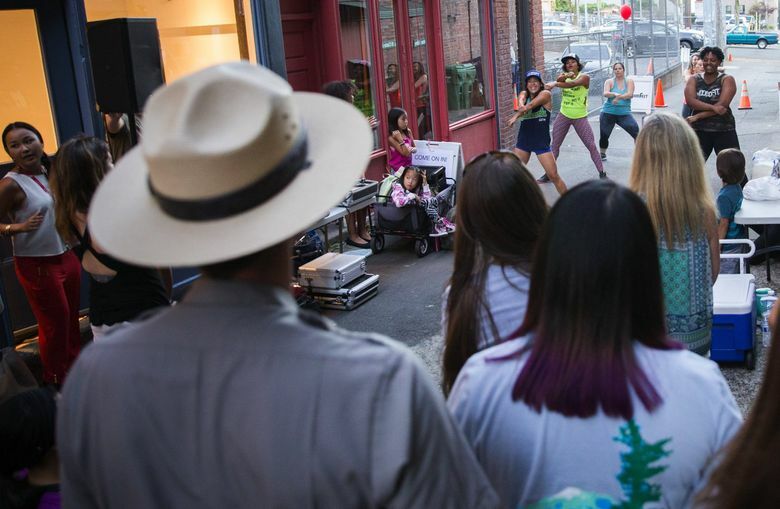 Draw a line through those three and east to Lake Washington, and south of that line lie the state’s most diverse communities — and opportunity for Beall’s national park units to engage more people of color. Beall’s little piece of the big Park Service may have only the assets, personnel and budget of a small business, but he also has small-business nimbleness and gumption. Those can help him outmaneuver the inertia that can grip bigger units such as Mount Rainier National Park or North Cascades, where he once worked. Among the 59 large national-park units along with Olympic, they can get too bogged down in day-to-day worries about infrastructure, visitor management and even climate-change impacts to have the focus and time for big-picture missions such as diversity and inclusiveness. By the time the National Park Service was founded 100 years ago, this country was 50 percent urbanized, and folks like Teddy Roosevelt and John Muir had discussed the need for untamed public lands as respite from urban stressors. More than 80 percent of the U.S. now lives in urbanized areas, and the stressors have compounded. 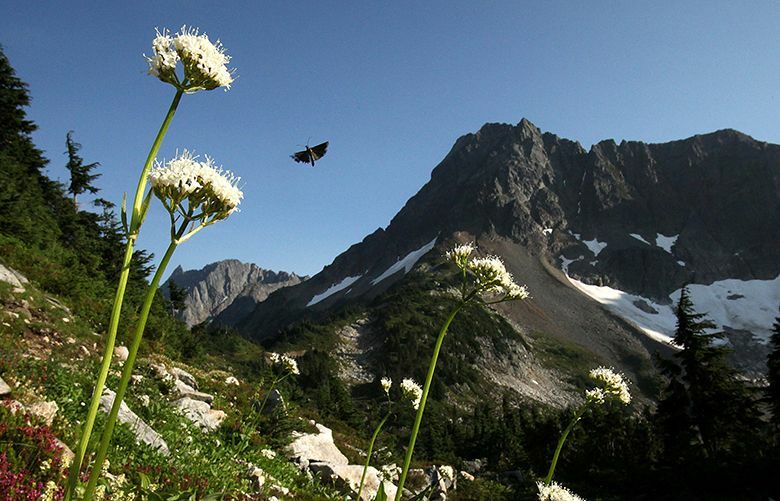 That necessitates shifting the diversity battlegrounds to urban centers like Seattle, which has eight national-park units within a four-hour drive. Beall is not just well-positioned to help diversify national parks; he has developed a commitment to diversity that has roots at the very beginning of his career there. He earned his permanent position with the Park Service through a now-defunct program aimed at hiring African Americans and Latinos. Though unintended, that program also could be used to hire whites, including Beall. He has progressed enough to see the irony and the transgression. Born in Corvallis, Ore., he has a career mantra about doing “meaningful work in interesting places.” But he’ll also admit having bought into the mission of developing the next generation of stewards for the National Park Service. During his 10 years at North Cascades, Beall struggled against a culture that resisted visitation because it might spoil a site often referred to as the “wildest place in the Lower 48 states.” During a subsequent fellowship in Washington, D.C., he worked on the launch of two national monuments: Honouliuli, telling the story of Japanese during World War II in Hawaii, and Pullman, in Chicago, preserving the history of a company town that was significant to the African-American labor movement. Along with his work on the Every Kid in a Park program, each project was among essential building blocks in the Obama administration’s efforts to improve access and commitment to public lands. Within Beall’s target area sit three institutions with national renown for catalyzing expertise: the Wing Luke, for community engagement; Seward Park Audubon Center, for programming for diverse youth; and IslandWood, for its urban environmental education program with Antioch University. If he had hires to make, Beall could not target diverse, young candidates — federal hiring rules don’t allow that — but those organizations could. One of the promising trends in urban national parks is the funding of park personnel by third parties that are unshackled by federal rules, allowing them to hire with ethnicity or other demographics in mind. Beall also can piggyback on private organizations’ events and programs, adding the Park Service’s expertise and profile. Beall has a prime example in his own midst — the Japanese American Exclusion Memorial, built, maintained and supported by several community groups on Bainbridge Island. It gains its imprimatur as a satellite of the Park Service’s Minidoka National Historic Site in Idaho. The Park Service owns none of the Bainbridge property, but Beall kicks in $14,000 for a seasonal ranger. Thinking quickly, Beall called Seattle Parks and Recreation. An event was set at Jefferson Park on Beacon Hill. 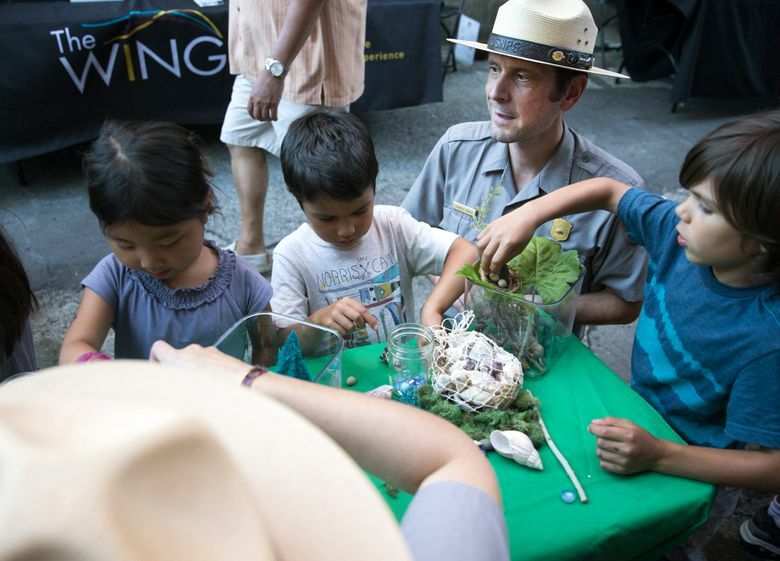 Ten years ago, the Park Service might have insisted on holding the event at, say, Mount Rainier, but the D.C. office was happy with a city venue. Glenn Nelson is a former Seattle Times reporter who founded The Trail Posse (http://trailposse.com), which in partnership with High Country News regularly covers race, diversity and inclusion in the outdoors.